Energy Performance Certificates were a welcome innovation in the property market when they were introduced in 2007. Whilst some complained about the extra work and cost, and others felt that the reports were not very thorough, we have found overall that they’ve really helped buyers and tenants to make informed decisions about the properties that they’re going to commit to. Knowing the estimated cost of energy bills is very useful when looking at affordability for a property. EPCs have also helped property owners and vendors look at the areas in which they could invest in their property to make it more energy efficient, and thus more attractive to prospective buyers and renters. The EPC industry has created many new jobs too. And, ultimately, the decision to introduce EPCs was to help reduce the UK’s Carbon Footprint, which is obviously a very positive thing. What are the new EPC regulations and when will they be enforced? From 1st April 2018, the Minimum Energy Efficiency Standards will come into effect and the EPC regulations in relation to all rental properties will change. It will then be unlawful to let out or renew a lease of any commercial or residential property with an EPC rating that is lower than E. The change is estimated to affect between 25% - 35% of rented properties in the UK. One sentiment behind the move is to combat fuel costs that are likely to be beyond the affordability of the tenants; anyone that has lived in a property that isn’t insulated well and doesn’t have sufficient heating will understand the struggle. Trading Standards will be the taskforce monitoring these regulations, and have the power to issue fines for non-compliance based on the Rateable Value of the property concerned; up to £150,000. I’m a landlord, how can I get ready for the EPC regulation changes? At Oakley we are very open to supporting all of our landlords, to make sure that renting out a property runs as smoothly as possible. We have a record of all of our clients’ existing EPC Certificates as a starting point, and many of our landlords own energy efficient new build properties, and therefore will be unaffected by the changes. 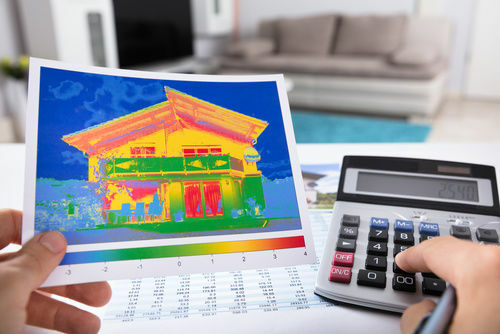 Any landlords that own a building with an EPC rating of F or G will though need to be looking for their next opportunity to ensure that they can comply with these new regulations.